WARNING: Your doctor should order a blood test to check your kidney function before starting you on edoxaban. In people whose kidneys work really well, this medication may not be effective in preventing blood clots due to atrial fibrillation. Therefore, this medication is not recommended for use by these people for this purpose. Talk to your doctor for more details. Do not stop taking edoxaban unless directed by your doctor. If you stop taking this medication early, you have a higher risk of forming a serious blood clot (such as a stroke, blood clot in the legs/lungs). Your doctor may direct you to take a different \"blood thinning\" or antiplatelet medication to reduce your risk. Get medical help right away if you have weakness on one side of the body, trouble speaking, sudden vision changes, confusion, chest pain, trouble breathing, pain/warmth/swelling in the legs. People taking this medication may bleed near the spinal cord after certain spinal procedures. Bleeding in this area can cause paralysis that lasts a long time or could become permanent. Ask your doctor about the benefits and risks before any spinal procedure. The risk of bleeding may be higher if you have a deformed spine, or have had spinal procedures/surgery before (such as epidural catheter placement, difficult epidural/spinal puncture), or are taking other drugs that can cause bleeding/bruising (including antiplatelet drugs such as clopidogrel, \"blood thinners\" such as warfarin/enoxaparin, nonsteroidal anti-inflammatory drugs-NSAIDs such as ibuprofen). Tell your doctor right away if you notice symptoms such as back pain, leg numbness/tingling/weakness, loss of control of the bowels or bladder (incontinence). USES: Edoxaban is used to prevent serious blood clots from forming due to a certain irregular heartbeat (atrial fibrillation). It is also used to treat certain blood clots (such as in deep vein thrombosis-DVT or pulmonary embolus-PE). Edoxaban is an anticoagulant that works by blocking certain clotting proteins in your blood. HOW TO USE: See also Warning section. Read the Medication Guide provided by your pharmacist before you start taking edoxaban and each time you get a refill. If you have any questions, ask your doctor or pharmacist. Take this medication by mouth with or without food as directed by your doctor, usually once daily. The dosage is based on your medical condition, weight, response to treatment, and other medications you may be taking. Be sure to tell your doctor and pharmacist about all the products you use (including prescription drugs, nonprescription drugs, and herbal products). Do not stop taking this medication without consulting your doctor. Some conditions may become worse when this drug is suddenly stopped. 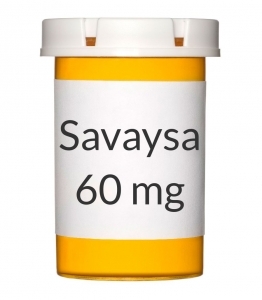 Use this medication regularly to get the most benefit from it. To help you remember, take it at the same time each day. SIDE EFFECTS: See also Warning section. Easy bruising or minor bleeding (such as nosebleed, bleeding from cuts) may occur. If either of these effects persists or worsens, tell your doctor or pharmacist promptly. Remember that your doctor has prescribed this medication because he or she has judged that the benefit to you is greater than the risk of side effects. Many people using this medication do not have serious side effects. This medication can cause serious bleeding if it affects your blood clotting proteins too much. Tell your doctor immediately if you have any signs of serious bleeding, including: unusual pain/swelling/discomfort, unusual bruising, prolonged bleeding from cuts or gums, persistent/frequent nosebleeds, unusually heavy/prolonged menstrual flow, pink/dark urine, coughing up blood, vomit that is bloody or looks like coffee grounds, severe headache, dizziness/fainting, unusual or persistent tiredness/weakness, bloody/black/tarry stools, difficulty swallowing. Get medical help right away if you have any signs of very serious bleeding, including: vision changes, confusion, slurred speech, weakness on one side of the body. A very serious allergic reaction to this drug is rare. However, get medical help right away if you notice any symptoms of a serious allergic reaction, including: rash, itching/swelling (especially of the face/tongue/throat), severe dizziness, trouble breathing. This is not a complete list of possible side effects. If you notice other effects not listed above, contact your doctor or pharmacist. In the US - Call your doctor for medical advice about side effects. You may report side effects to FDA at 1-800-FDA-1088. In Canada - Call your doctor for medical advice about side effects. You may report side effects to Health Canada at 1-866-234-2345. PRECAUTIONS: Before taking edoxaban, tell your doctor or pharmacist if you are allergic to it; or if you have any other allergies. This product may contain inactive ingredients, which can cause allergic reactions or other problems. Talk to your pharmacist for more details. Before using this medication, tell your doctor or pharmacist your medical history, especially of: liver disease, kidney disease, bleeding problems (such as bleeding of the stomach/intestines, bleeding in the brain), blood disorders (such as anemia, hemophilia, thrombocytopenia), recent major injury/surgery, frequent falls/injuries, stroke. Before having surgery or any medical/dental procedures (especially spinal puncture or spinal/epidural anesthesia), tell your doctor or dentist that you are taking this medication and about all the products you use (including prescription drugs, nonprescription drugs, and herbal products). Your doctor or dentist may tell you to stop taking edoxaban before your surgery. Ask for specific instructions about stopping or starting this medication. This medication may cause stomach bleeding. Daily use of alcohol while using this medicine may increase your risk for stomach bleeding. Limit alcoholic beverages. Ask your doctor or pharmacist about how much alcohol you may safely drink. This medication can cause bleeding. To lower the chance of getting cut, bruised, or injured, use great caution with sharp objects like safety razors and nail cutters. Use an electric razor when shaving and a soft toothbrush when brushing your teeth. Avoid activities such as contact sports. If you fall or injure yourself, especially if you hit your head, contact your doctor immediately. Your doctor may need to check you for hidden bleeding that could be serious. During pregnancy, this medication should be used only when clearly needed. Discuss the risks and benefits with your doctor before using this medication. It is unknown if this medication passes into breast milk. Consult your doctor before breast-feeding. DRUG INTERACTIONS: Drug interactions may change how your medications work or increase your risk for serious side effects. This document does not contain all possible drug interactions. Keep a list of all the products you use (including prescription/nonprescription drugs and herbal products) and share it with your doctor and pharmacist. Do not start, stop, or change the dosage of any medicines without your doctor\'s approval. Some products that may interact with this drug include: mifepristone, other drugs that can cause bleeding/bruising (including antiplatelet drugs such as clopidogrel, \"blood thinners\" such as warfarin, enoxaparin), certain antidepressants (including SSRIs such as fluoxetine, SNRIs such as venlafaxine). Other medications can affect the removal of edoxaban from your body, which may affect how edoxaban works. One example is rifampin, among others. Check all prescription and nonprescription medicine labels carefully since many medications contain pain relievers/fever reducers (aspirin, NSAIDs such as ibuprofen or naproxen) that may increase your risk for bleeding if taken together with this medication. However, if your doctor has directed you to take low-dose aspirin to prevent heart attack or stroke (usually at dosages of 81-325 milligrams a day), you should continue taking the aspirin unless your doctor instructs you otherwise. Ask your doctor or pharmacist for more details. OVERDOSE: If overdose is suspected, contact a poison control center or emergency room immediately. US residents can call their local poison control center at 1-800-222-1222. Canada residents can call a provincial poison control center. Symptoms of overdose may include: bloody/black/tarry stools, pink/dark urine, unusual/prolonged bleeding. NOTES: Do not share this medication with others. Laboratory and/or medical tests (such as kidney function, hematocrit/hemoglobin, red blood cell count) may be performed periodically to monitor your progress or check for side effects. Consult your doctor for more details. MISSED DOSE: If you miss a dose, take it as soon as you remember on the same day. If it is near the time of the next dose, skip the missed dose and resume your usual dosing schedule. Do not double the dose to catch up. Information last revised January 2015. Copyright(c) 2015 First Databank, Inc.